In 1993, Harris was appointed Principal Double Bass of the St. Louis Symphony. Since coming to St. Louis, he has performed in chamber music concerts at Sheldon Hall, Innsbrook Institute, and at the Strings Festival in Steamboat Springs, Colorado. He has performed as soloist with the STL Symphony on numerous occasions, including giving the North American premiere of Tan Dun’s Double Bass Concerto: Wolf Totem, David Robertson conducting. 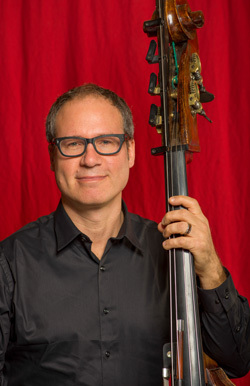 An avid teacher, Harris has taught master classes at the Manhattan School of Music, New World Symphony, and the Juilliard School, and currently serves on the faculty of Webster University.